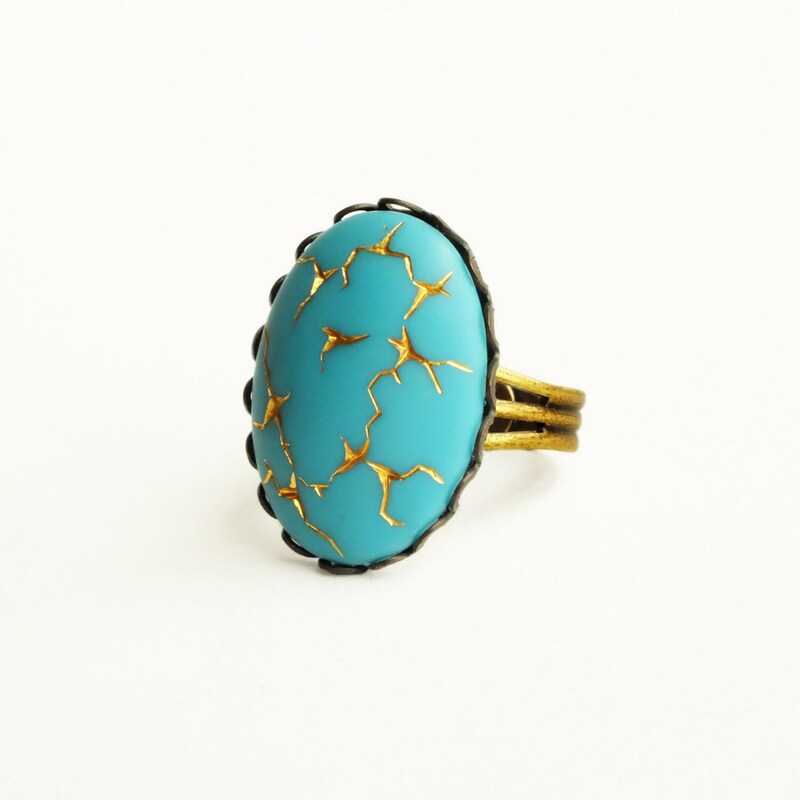 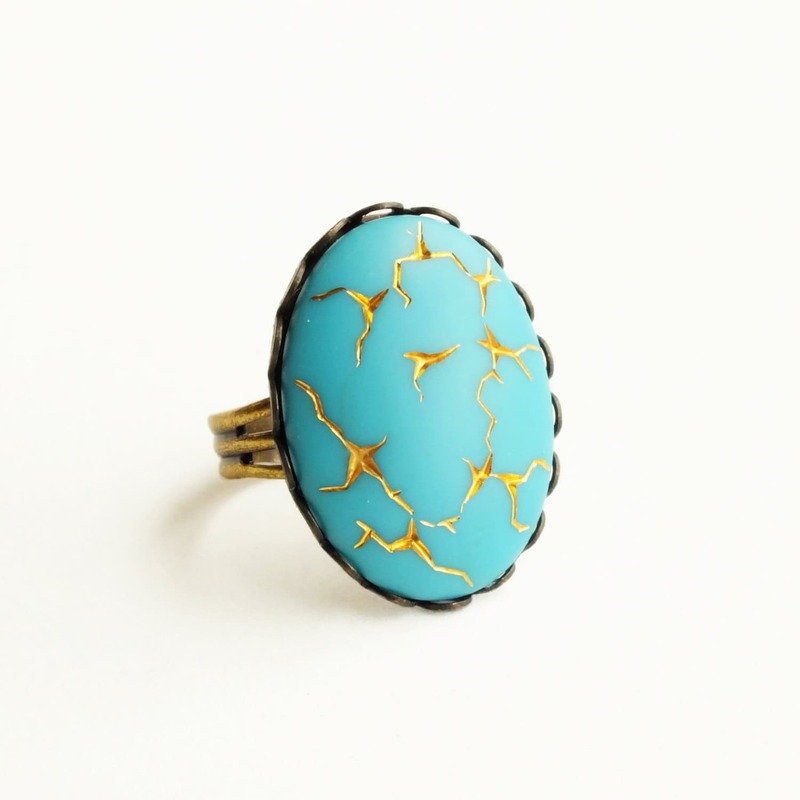 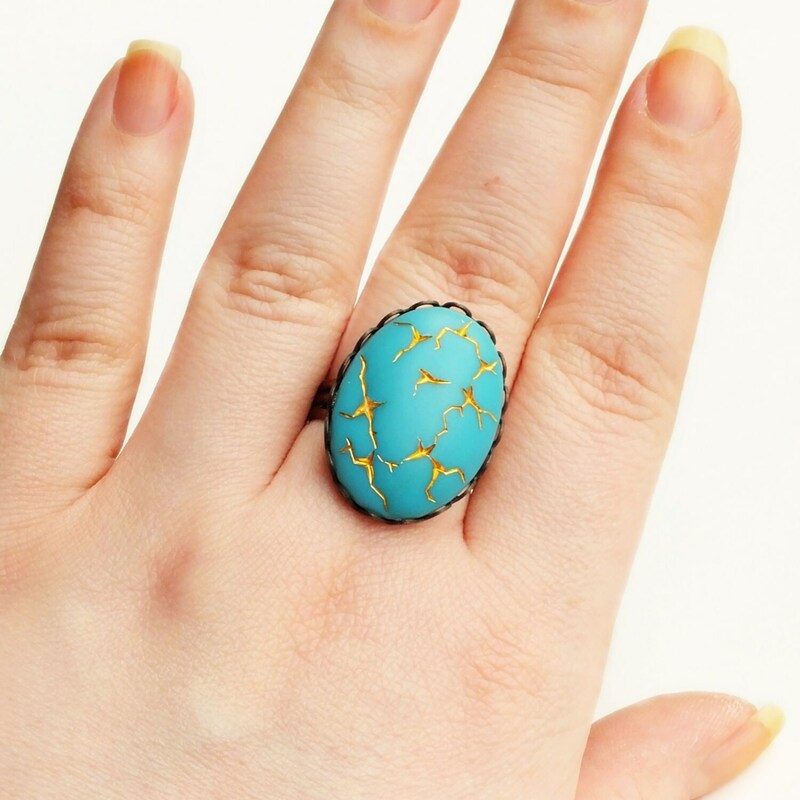 Handmade turquoise crackle glass ring with vintage matte gold and aqua blue etched glass stone. 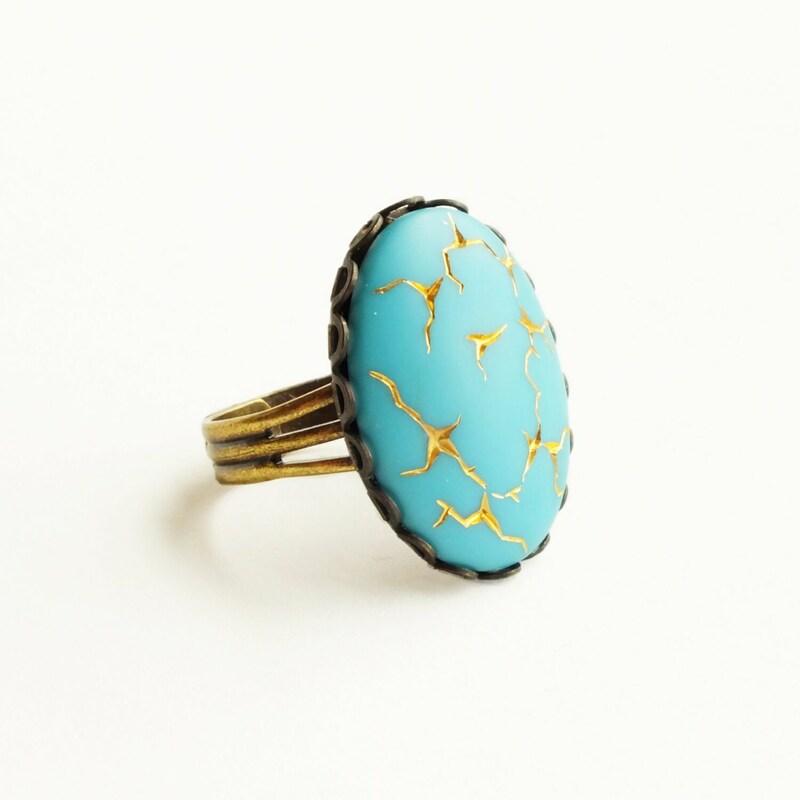 Made with large vintage matte glass turquoise stone with an etched gold 'crackle' pattern. 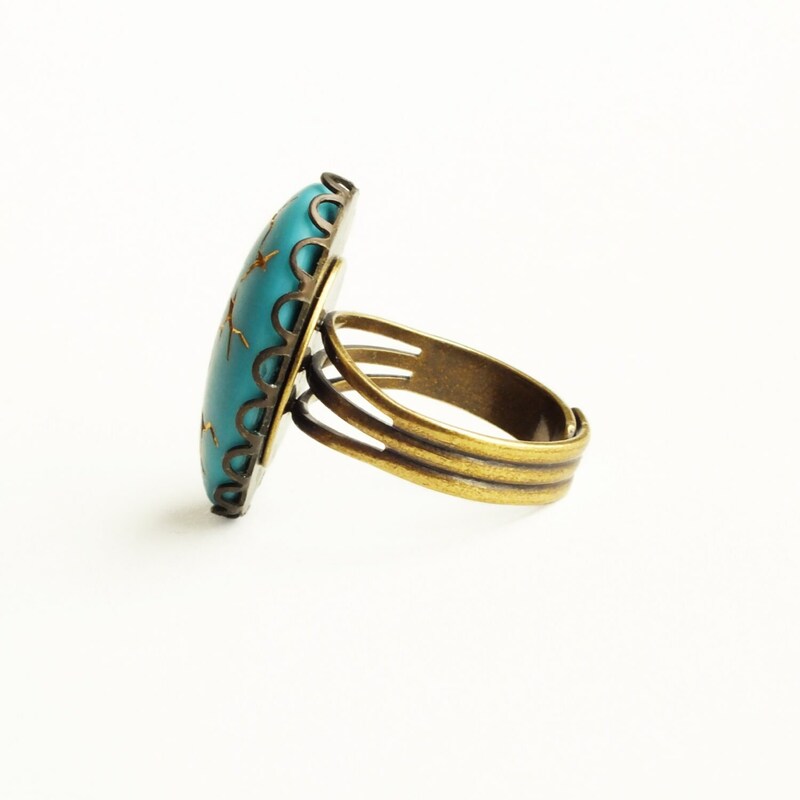 Set in a dark brass lace-edged setting secured to a super comfortable sturdy antique brass ring band.